From what used to be a buzz in the market when the concept was first heard to being metamorphosed into a business tool, Artificial Intelligence (AI) has already made inroads into the consumer market and in various forms. Studies have revealed that more and more companies and business stalwarts have expressed their desire to work with this technology and that the volume of clients engaged in discussion and highlighting the subject has increased to 200% between 2015 and 2016. Experts are of the opinion that by employing the nuances of AI, you could do away with hitches that arise due to lack of resources. Artificial Intelligence is particularly helpful for those tasks that are repetitive in nature. And by applying AI in mobile apps, you get the desired results. However, it is also being observed that AI is being increasingly used in mobile apps. But what is required to be assessed is the various categories of applications that will be compatible with the technology of Artificial Intelligence. It has been found that the most prominent form of integration with AI is client engagement, which accounted for approximately 34% and it can be safely said that mobile apps are perhaps one such avenue that can engage your client and prospective leads for long as far as digital marketing foot fall is concerned. You could also make use of Artificial Intelligence by developing so called virtual private assistants in mobile technology and applications. And the outcome would be to automate customized messages that are pertaining to merchandising and marketing. Artificial Intelligence technology would be particularly helpful for building mobile apps that help in interacting with clients better. In this area the virtual private assistants can be deployed and made use of. 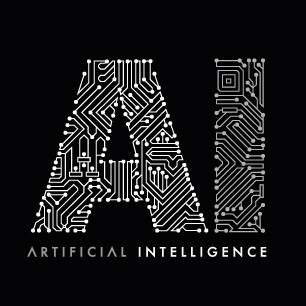 H3 What are the different ways to employ AI in mobile apps? Experts say that if your mobile app is “powered” by Artificial Intelligence, it implies that the app is really powerful and it gives you the feeling of living in the future! Essentially the reasoning has to be “automated” because it is a machine after all. This is the process by which computers are made to apply logic and their reasoning skills in order to find a solution. There is an algorithm that makes all this happen. A classical example is applying it in trading stocks or for that matter any other investment vehicle. Interestingly, you will also come across many investment apps these days that offer you this service. The main aim of studying behavior patterns of clients is to allow them to have hassle free navigation while browsing when they return for the next session. For instance, you will come across many such web portals (let us say a travel portal) that is half bot and half human and these portals help you in booking hotel accommodation. It fuses the nuances of machine learning and language processing and allows users to surf and browse services depending on their preferences. There is another important area where you can apply this technology. It is detecting online fraud in transactions that you carry out with your plastic cards. And this is usually done with the help of “pattern detecting algorithms”. Developing an app by integrating it with AI is a Herculean task that you must entrust only to experts if you want to derive the maximum benefits from it.